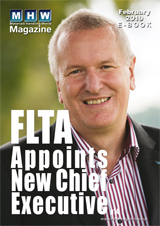 The Freight Transport Association (FTA) has welcomed as a ‘victory for common sense’ the announcement by transport minister, Mike Penning, that he has decided to leave the domestic drivers’ rules unchanged. The review of the rules, which apply to goods vehicle drivers in Great Britain that are exempt from EU drivers’ hours legislation, was launched over a year ago. FTA participated in the Department for Transport (DfT) steering group on the subject and consulted with members whose operations are subject to domestic drivers’ hours rules; the overwhelming response was that there was no need for change, a view which the Association fed back to DfT. "The minister’s announcement that the rules are to remain unchanged – an outcome which FTA pressed for – is a victory for common sense. The Department found no evidence that there would be any detrimental effect on road safety in keeping the rules as they are, and agreed with us that any further restrictions would risk imposing unreasonable burdens on industry."